What is First Year Seminars? 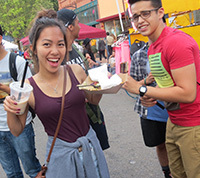 Each year Summer Institute students get to taste the tradition (literally) of San Luis Obispo's farmer's market. Everything from roasted corn, bubbling chili, sweet and spicy ribs, to crisp produce is there for the tasting. As students head downtown on Thursday evening the delicious aroma of barbeque hangs in the air they get to experience what started in 1983 as a way to draw shoppers downtown on Thursday nights but has transformed into an attraction that draws thousands of revelers every Thursday. A variety of seminars and activities are offered which are designed to introduce students to collaborative learning, enhance study skills, and provide opportunities which build social and academic support networks. Participants also have the opportunity to meet other new students in their major, Cal Poly faculty, and SAS advisors/staff. Extracurricular activities including teamwork, cultural events, sporting events, theatrical presentations, professional development opportunities and social activities. When asked to list the reasons for attending college, most students respond that it is to ensure a successful, professional career. Having a career that we enjoy and that helps us meet our own personal and financial goals is highly important to all of us. It is for this reason that SI traditionally holds the Alumni dinner year after year. 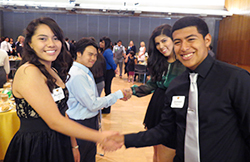 This gathering provides SI students, with an excellent opportunity to learn from the experiences of caring individuals who were successful at Cal Poly. Students have the opportunity to network and leave feeling more motivated with a clearer vision of what might to expect down the road. Hiking to the Poly "P" has been a tradition since Summer Institute began in 1984. The legacy of the Poly "P" began when Poly was an all boys school in 1919 and continues today. The "P" that we see today began as whitewashed stones but has grown into a 50 foot long and 35 foot wide representation to the outside world of Cal Poly. 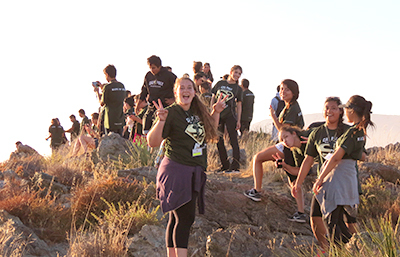 Each year SI students gather for a BBQ and games before putting on their hiking shoes for an evening climb up the Poly Hill to watch the sunset. The Sports Fest primary purpose is to have fun! It is a time of relaxation at the end of SI's rigorous three week challenge. 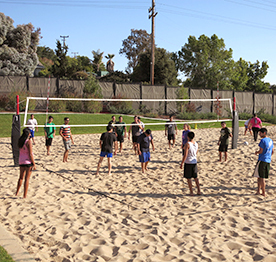 A delicious tri-tip BBQ is prepared by the SI staff and while the food is on the grill students socialize or get to play beach volleyball, soccer, flag football, and enjoy Cal Poly's expansive athletic field behind the Recreation Center.